Meditating upon these aspects, being very engrossed in the experience of such sarvESvaran, AzhwAr considering emperumAn‘s divine feet as the means for such experience, mercifully recites these pAsurams towards good-hearted people wondering if such experience is possible in his divine abode thiruvallavAzh which is very enjoyable and rich; here AzhwAr assumes the mood of a girl who united with her consort and then separated, asks her friends “can we enter the abode where he resides”. Since AzhwAr did not have his desire fulfilled even after going to thirukkudandhai, he sets out to go to thiruvallavAzh. Just as he did not get his desire fulfilled, he became so grieved that he was unable to even reach there. He mercifully explains this experience through anyApadhESam (a different mood, as in the mood of a girl who is separated from her beloved in this case). In thiruvAimozhi 5.3 “mAsaRu sOdhi“, he set out to engage in madal, but withdrew from it thinking “it will cause disrepute to emperumAn“; here, due to his restless state, he is entering every dhivyadhESam he sees; it is impossible to understand the cause for such state of AzhwAr. There, he preserved emperumAn’s nature [by not causing disrepute to him]; here, AzhwAr is trying to preserve his own nature [by visiting various dhivyadhESams, AzhwAr is sustaining himself]; there, he wanted to embrace emperumAn’s divine form; here, as he engaged in his divine form, his restlessness took firm shape, and is desiring to serve him as said in nAchchiyAr thirumozhi 13.9 “kommai mulaigaL idar thIrak kOvindhaRkOr kuRREval” (to eliminate the suffering of my enlarged breasts, I should do confidential services to gOvindha). Right in the beginning it was explained that AzhwAr’s samSlEsham (union) with emperumAn is mAnasa anubhavam (internal experience); when this is the case, what does it mean when AzhwAr is going to thiruvallavAzh? What does it mean when the relatives of AzhwAr are stopping him? These are nothing but disturbances in his internal experience. A pirAtti (consort, parAnguSa nAyaki) who is suffering due to first uniting and subsequently separating from emperumAn, sets out to go to thiruvallavAzh disregarding her high family heritage etc. Hearing this, her friends come and advice her “this is not apt and will not match our stature” and try to withdraw her. parAnguSa nAyaki replies “What did I get by listening to you; the beautiful gardens, the southerly breeze which brings the fragrance from there, the sweet singing of the beetles which drank the honey and felt joyful, the vaidhika celebrations of the town, the entertainment in the town etc of the dhivyadhESam invite me constantly as you try to withdraw me; this being the case, what do I get by listening to you?”. 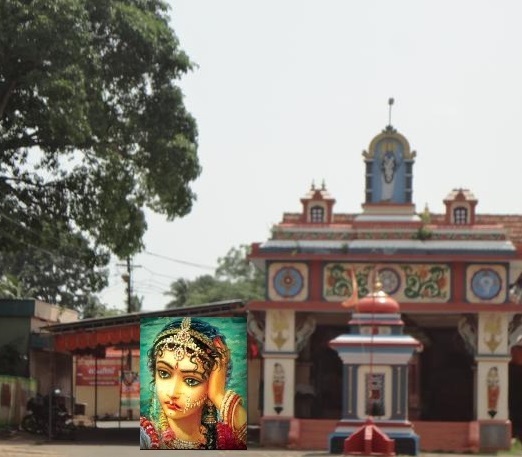 Saying this she manifested her suffering to them and persuaded them and told them “I can enter thiruvallavAzh and interact with him as desired”. nanjIyar used to mercifully explain “I have this same experience”. After taking shelter at bhattar‘s divine feet, once nanjIyar went to thirunArAyaNapuram and with great urge was returning to SrIrangam thinking “I wish to help during the uthsavam (festival)”. As he reached thirukkarambanUr (the other shore of kAvEri river), unexpectedly the river was flooded. He would say “I remained the whole night there, hearing the celebrations of SrIrangam from distance but unable to reach there and was greatly grieving”. AzhwAr is calling out like the four sages who were born from brahmA’s mind who reached the entrance of SvEthadhvIpam (a divine island abode inside the material realm) but due to lacking qualification to enter, wait outside and grieve hearing the residents of the abode making noisy celebrations on seeing emperumAn. This entry was posted in thiruvAimozhi, thiruvAimozhi 5th centum on September 1, 2017 by Sarathy Thothathri.